Lily Hair and Beauty Academy is pleased to offer a variety of bridal makeup and hair services. Our expert team in Edgware, Middlesex, is committed to making you feel like a million dollars on your special day. We’re standing by to help you with creating a natural, radiant look. We specialise in creating looks that are camera-ready, yet which feel weightless, comfortable, and last all day. As part of your trial day and initial practice run-through, we’ll help you decide on colours and techniques. With our assistance, you’ll have one less thing to worry about on your wedding day. We utilise the latest bridal techniques to ensure your hair and makeup suits you well and lasts throughout the day. Lily Hair and Beauty Academy is proud to launch the all-new Lily Salon Wedding Package Menu. 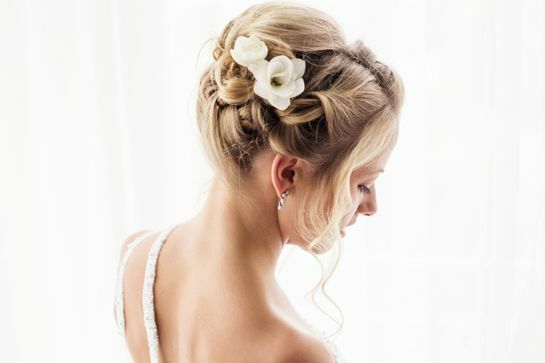 With eight packages, we’re able to accommodate every bride’s hair and beauty needs. Additional requirements may be discussed with our talented, friendly wedding team. We aim to quell your hair and beauty concerns entirely; we know you’ve got enough to think about! Some of our prices vary according to the level of stylist you select to style your hair. A member of our dedicated bridal team will spend an hour and a half with you, discussing your precise requirements and trying out initial ideas. These ideas will be photographed, allowing us to review them and provide advice and guidance about how best to proceed. There’s no obligation to carry on with us after taking this package. This is an hour-long appointment, designed to perfect and refresh your hair colour three days to one week before the big day. 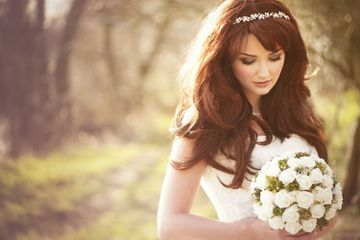 An hour-long appointment with a hairstylist, allowing you to discuss and create the perfect cut and shape for your wedding day. A two-hour-long appointment with our beauty team. During this, an hour will be dedicated to smoothing your facial skin with the use of a mask, followed by eyelash extension applications. This will achieve perfectly clear skin and thick, long lashes that will frame your twinkling eyes. A pre-wedding shellac nail polish and hand treatment. Includes aftercare from at least 4-6 weeks before your wedding day. Choose this package in the build-up to your big take. We’ll take care of all your beauty requirements! The beauty platinum standard package includes three waxing treatments, eye-lash application, eyebrow shaping, and an eyebrow tint. Why not treat your bridesmaids and mothers to a makeup application, as well? We are also able to do hair-up and makeup treatments for all members of your wedding party, at an additional cost of £60 per person. Have your preferred stylist create a unique look for you at the salon on your big day. This appointment will cost £100 per hour, from the time of the stylist starting until the job is done. 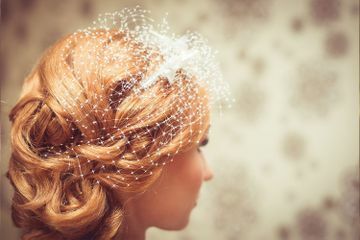 The estimated time of hair styling for the bride is around two hours, with makeup taking the same amount of time. Our team will also help you to dress up, ready to go enjoy the special day. Pricing is dependent on timings and the number of packages you choose. Contact us today, in Edgware, Middlesex, for details about our bridal hair and makeup services.